We Provide the Best of both worlds. The Ibay Law Group strives to provide the highest quality legal services with an added personal touch for accident victims who desire the MAXIMUM POSSIBLE SETTLEMENT. Over the past 20 years we have settled thousands of injury cases and obtained millions of dollars for our clients. Insurance companies will do everything in their power to give you the least amount of money they can. In order to level the playing field and get the money you deserve, you need EXPERIENCED representation. 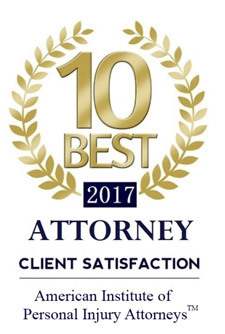 We have been told many times that the best thing about our firm is that you will ALWAYS be able to speak to one of the attorneys when you have questions about your case. In this book, you will learn everything you need to know to MAXIMIZE your injury settlement – the initial steps to filing a claim, getting necessary medical treatment, proper documentation, evaluating the value of your case, and negotiating tactics to get the most money from the insurance company. Visit our channel for helpful tips on how to maximize your personal injury settlement.